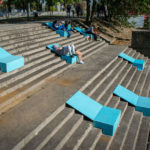 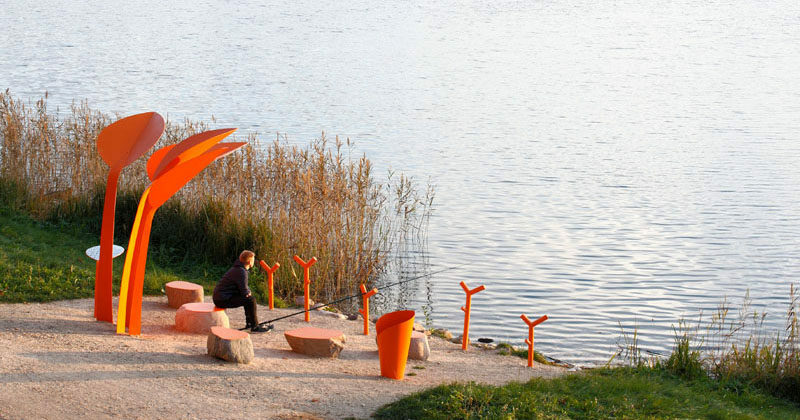 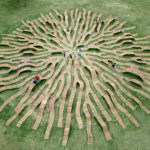 Latvian-based Design Studio H2E has recently completed their public furniture installation named Anglers Seats, located on the shores of Lake Aluksne. 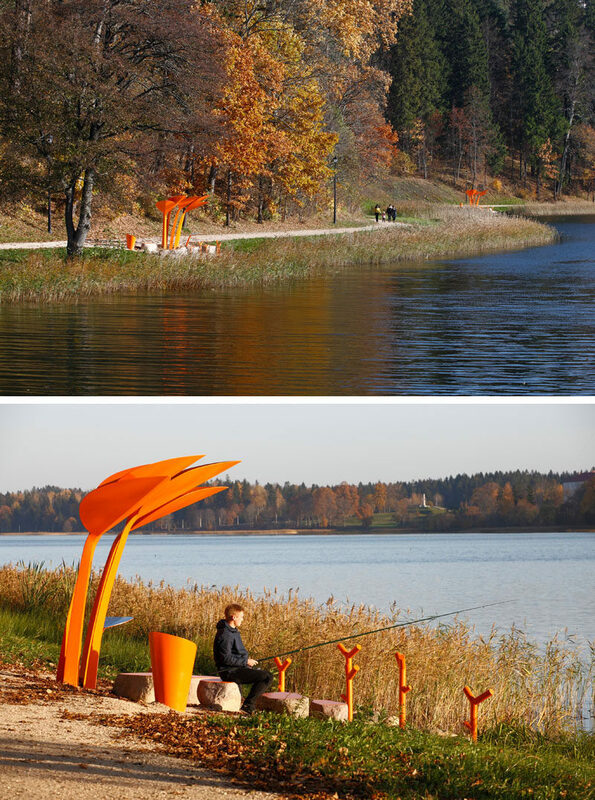 The design of the special angling and rest spots were inspired by the shape of an aquatic plant, the Bog Arum (Calla palustris) that can be found on the Baltic lake shores. 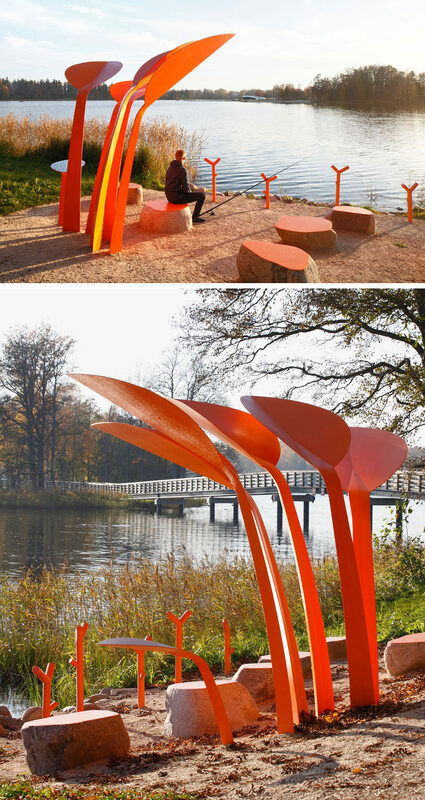 The large broad leaves provide shelter from the sun and the rain, while the rod holders are provided to support fishing rods. 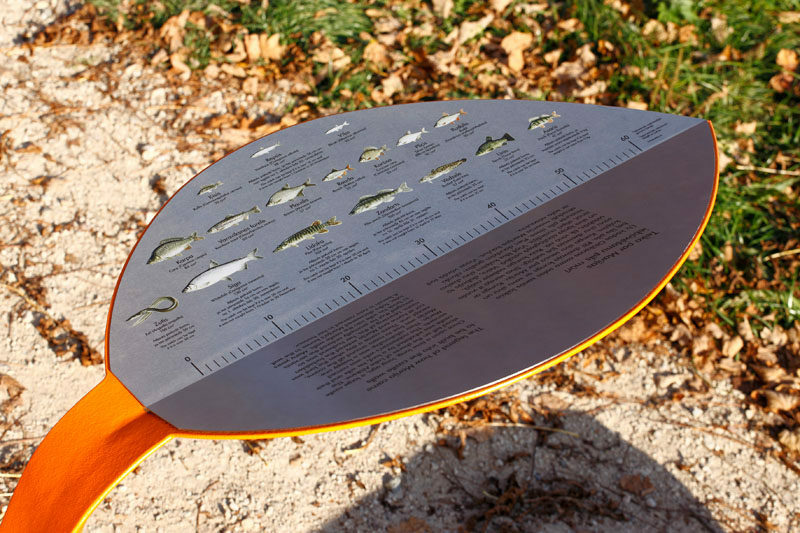 On a smaller leaf, information about the lake’s fish and the legends of the local area, as well as a ruler, are displayed for the fisherman.